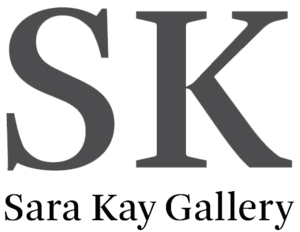 Sara Kay Gallery is pleased to announce Function to Freedom: Quilts and Abstract Expressions. 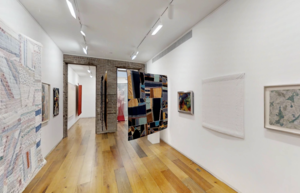 The exhibition explores the compositional tendencies of 19th century American quilts and abstract paintings, drawings and sculptures by women artists— and the socio-political climate in which they were made. 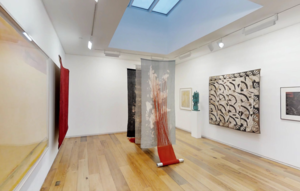 Function to Freedom will feature quilts, some homespun, in brightly colored materials from rich velvets to wool to feed sacks alongside an exceptional selection of abstract works by artists Helen Frankenthaler, Grace Hartigan, Elaine de Kooning, Lee Krasner, Yayoi Kusama, and Louise Nevelson. The exhibition will highlight the likeness of composition and freedom of expression shared by both mediums and periods. In 19th century America, women were relegated to domestic roles and had fewer opportunities to pursue artistic endeavors. Quilting had the tendency to be viewed as a passive, practical hobby with little more than functional purpose and quaint charm. The exhibition highlights how quilts were a peaceful aesthetic outlet with a vast range of styles and voices. The departure from being a merely functional pursuit (made possible by developments in technology and, accordingly, changes in technique, style and purpose) shifted people’s perspective on quilting to be recognized as a complex and expressive art form. The exhibition will also include a site-specific installation by artist Victoria Manganiello. Made of cotton, linen, natural and synthetic dyes and aluminum, the installation will challenge our notion of the textile, bringing it into abstract sculptural form. The inclusion of a female contemporary artist complements the vision of the show, as Manganiello skillfully combines tradition, textiles and freedom of expression.